South Australian start-up Praxis Aeronautics will show off revolutionary technology to fuel drones and light-weight aircraft using solar power at Avalon Airshow. 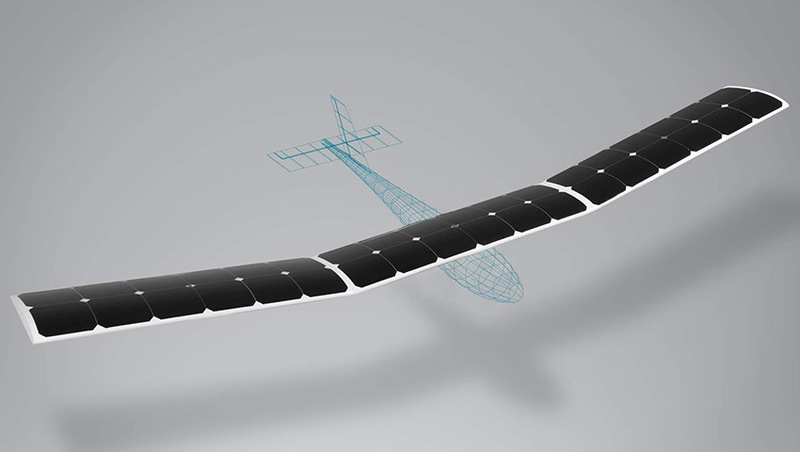 The technology, which Praxis said "vastly increases drone endurance", was developed by founder Cameron Donaldson and is done by compressing standard solar cells within composite material "without losing efficiency of the cells". “People have been building solar aircraft since the 1970s, but it’s always been quite experimental and problematic incorporating solar into the wings,” Cameron's sister, Katie Donaldson, said. “There’s always been the problem of weight versus reward with putting solar cells into an aircraft. If you add solar cells you can produce your own energy and fly for longer, but if you make the aircraft heavier, it needs more power. Katie recently joined the company as a business partner, and said the technology enables drones to continue flying for up to three times longer than just using batteries. The solution is water-proof, which means it could also be applied to boats and unmanned surface vehicles. Praxis Aeronautics recently showcased the technology at Oshkosh Airshow in Wisconsin, and is now "in discussions with several major US companies, including a leading supplier of small UAVs to defence globally, including Australia". “It’s important to showcase our technology to the right companies. Praxis is among 24 South Australian companies that will be showcasing their products and services on the Defence SA stand at Avalon Airshow.